CMP, or Career Management Partners, is a talent and transition firm specializing in Executive Search, Leadership Development and Outplacement. With a new brand and a recent acquisition of another firm CMP was ready to step into the future of HR. 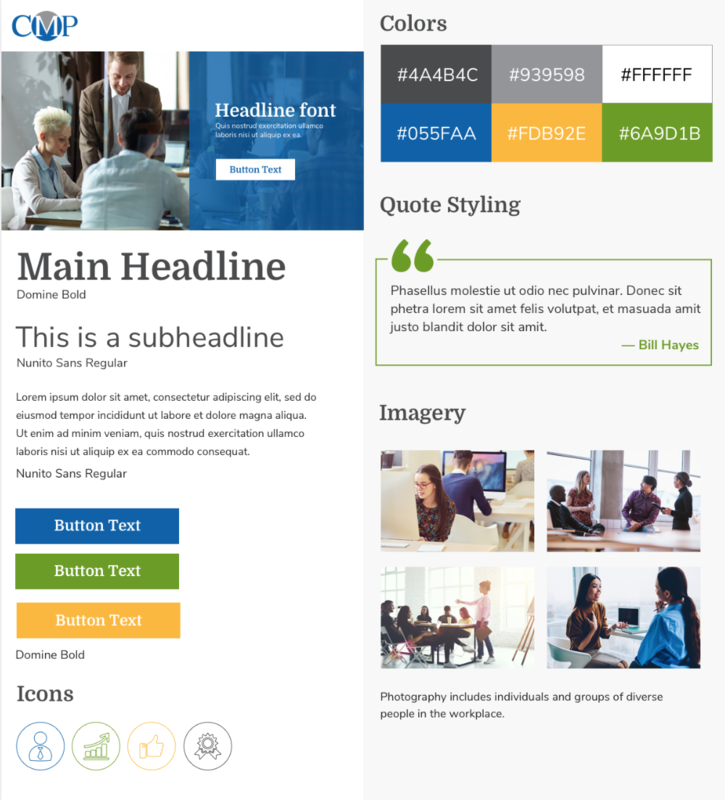 All they needed was the final piece – a website to show who they are and where they are going. We were proud to work alongside the new CMP to update their online presence, share their mission and showcase their services. 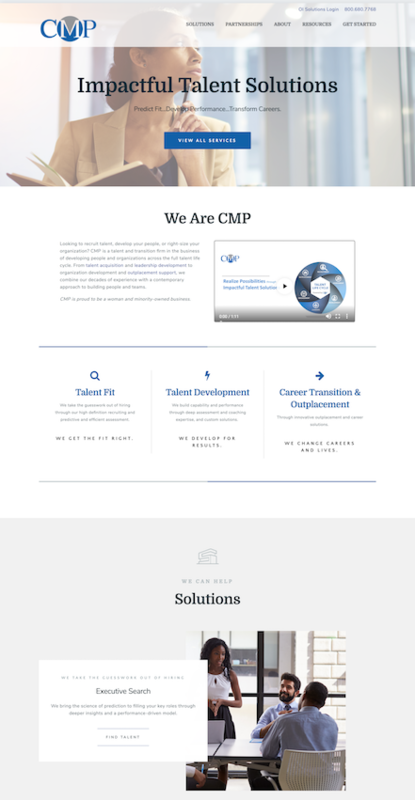 Their new site features hundreds of client resources and blog posts, a client portfolio and in-depth service pages detailing how CMP’s expertise can transform companies and lives. Pay them a visit to see it in action!